Jesus is the Living WORD. You put on the full armour, the WORD, spiritually, mentally and physically. If you abide in the WORD, the WORD abides in you. And greater is He in you than he that is in the world. In the Beginning was the WORD, and the WORD was with GOD, and the WORD was GOD. The pastors are stupefied with indoctrination and all the flocks have scattered. Our church buildings are filled with cookie-cutter and fly-away pastors that have been cloned by the religious system to parrot the doctrines of men and devils. It's all part of satan's backward system of confusion and woes. Woe to them that call evil good and good evil! Jeremiah 10:21 "For the pastors are become brutish, and have not sought the LORD: therefore they shall not prosper, and all their flocks shall be scattered." The word, "brutish", means "stupid" from "consuming", or eating, indoctrination and the precepts of men. Indoctrinated teachers are unable to think for themselves, parroting handed down, unsound doctrines and sermons of men and their denominational systems. Jeremiah 29:8-9 "For thus saith the LORD of hosts, the GOD of Israel; Let not your prophets and your diviners, that be in the midst of you, deceive you, neither hearken to your dreams which ye cause to be dreamed. For they prophesy falsely unto you in my name: I have not sent them, saith the LORD." It's interesting that the main verse many Christians know, from the Book of Jeremiah (NIV), is Ch 29, Verse 11, partly due to prosperity sermons and marketing of the church systems of men. Jeremiah 29:12 "Then shall ye call upon me, and ye shall go and pray unto me, and I will hearken unto you." Jeremiah 29:13 "And ye shall seek me, and find me, when ye shall search for me with all your heart." The NIV version states the following for Jeremiah 29:11: "For I know the plans I have for you,” declares the Lord, “plans to prosper you and not to harm you, plans to give you hope and a future." The whole point of the three verses is that GOD wants to give you salvation and eternal life through belief in His Son Jesus Christ. But you must call upon Him and seek Him with all of your heart. That expected, or hoped for, end is Christ. But for a worldly Christian, he sees the NIV version, focusing on just one verse, and the prosperity and hope of his own future. Matthew 7:22 "Many will say to me in that day, Lord, Lord, have we not prophesied in thy name? and in thy name have cast out devils? and in thy name done many wonderful works?" Matthew 7:23 "And then will I profess unto them, I never knew you: depart from me, ye that work iniquity." If your priorities are in shape, loving and serving GOD will always comes first. He that doeth the will of the FATHER shall enter into the Kingdom of Heaven. Jesus CHRIST, the Living WORD, born through the matrix (rechem; womb) of a virgin, the Son of GOD in the flesh, gave his life on the cross as ransom for your very soul. There is nothing more awesome, friend. The Perfect ONE died for your sins. The antidote for the death of your soul is Jesus CHRIST. Anyone that doesn't accept the ONE antidote, is unclean as the walking dead, and will not be part of the Kingdom of GOD. If you truly want to be rich and great, be a doer, and serve and minister to others, in the LORD. Matthew 20:26 "But it shall not be so among you: but whosoever will be great among you, let him be your minister;"
Matthew 20:27 "And whosoever will be chief among you, let him be your servant:"
Luke 22:25 "And he [Christ] said unto them [His disciples], The kings of the Gentiles exercise lordship over them; and they that exercise authority upon them are called benefactors." Luke 22:26 "But ye shall not be so: but he that is greatest among you, let him be as the younger; and he that is chief, as he that doth serve." Satan's children, the kenites, and the heathen kings of this world system rule and control the masses, through deception, oppression and enslavement. Yet, they have high sounding titles and the people revere them as heroes and workers of good, unaware that their habitation is in the midst of deceit. Through deceit they refuse to know me, saith the LORD (Jer 9:6). The world despises humbleness and elevates the proud. For foolishness is set in great dignity, and the noble sit in a low place (Eccl 10:6). The greatest, or chief, among you shall be least. This is fact but what the devil promotes is the exact opposite. Be a follower and doer of GOD's instructions and you won't be a pretend Christian much longer. The world loves pretenders or actors, but GOD doesn't, neither does His elect. If you look down at others, GOD will certainly look down upon you, because He takes perfect records. Matthew 7:24 "Therefore whosoever heareth these sayings of mine [Christ], and doeth them, I will liken him unto a wise man, which built his house upon a rock:"
A genuine CHRISTian isn't merely a hearer of the WORD, but he must also doeth them. A believer that actually put CHRIST's teachings into practice is the real thing. For example, a person doesn't become an auto mechanic by simply reading a car repair manual. The journey as a mechanic begins when he actually follows the instructions and puts in the work to become one. This is a very simple analogy that even a child can understand. However, far too many Christians hear GOD's instructions, week after week, but never apply or follow it. There's a saying, "A small vessel is easily filled" due to arrogance and pride, because a "big head" doesn't have any more room to swell. Luke 17:28 "Likewise also as it was in the days of Lot; they did eat, they drank, they bought, they sold, they planted, they builded;"
Luke 17:29 "But the same day that Lot went out of Sodom it rained fire and brimstone from heaven, and destroyed them all." Luke 17:30 "Even thus shall it be in the day when the Son of man is revealed." planted = G5452. phuteuō (foot-yoo'-o). From a derivative of G5453; to set out in the earth, that is, implant. Figuratively to instil doctrine: - plant. G5453. phuō (foo'-o). A primary verb; probably originally to puff or blow, that is, to swell up; but only used in the implied sense, to germinate or grow (sprout, produce), literally or figuratively: - spring (up). Just like in the days of Lot, men ate, drank, bought, sold, planted and built. The word "plant" can also mean to implant or to instil doctrine. Brutish teachers swell up the heads of unrighteous men by implanting false doctrines. James 2:19 "Thou believest that there is one GOD; thou doest well: the devils also believe, and tremble." Arrogance, pride and indoctrination leave little room for TRUTH. Even satan and evil spirits believe and know the One True GOD. They all know his ALMIGHTY power and tremble at the mention of Him. Belief is the first part of faith, but believing, in itself, doesn't make you a bona fide CHRISTian. If you've been accepted into the military, you cannot claim to be a soldier until you've gone through training camp. Once you've experienced real combat, you become a battle-tested soldier. Many Christians can't go into battle, because they won't recognize the enemy, even when he's standing right in front of them. James 2:20 "But wilt thou know, O vain man, that faith without works is dead?" vain = G2756. kenos (ken-os'). Apparently a primary word; empty (literally or figuratively): - empty, (in) vain. Instruments such as drums, sounding brass and tinkling cymbals, make great noise but are just empty vessels. A "vain man" is empty on Truth or running on fumes. Someone who knows something but never acts upon it doesn't possess the true knowledge and wisdom of GOD. The empty person is just a balloon filled with hot air. He's all bark and no bite; vain and puffed up; a bragger and boaster. Wisdom tells us, "show me a man's works, and I'll see his faith." James 1:22 "But be ye doers of the WORD, and not hearers only, deceiving your own selves." Ephesians 5:17 "Wherefore be ye not unwise, but understanding what the will of the LORD is." Be filled with the Holy Spirit, not drunken with indoctrination and false pride from the cup of devils. The fruit of the Spirit shows love; humbleness; faith; righteousness and truth. If you're judgmental, self-righteous, arrogant and obssessed with carnal and worldly things, what spirit are you demonstrating to others? It's definitely not the Holy Spirit. Search the Scriptures daily, fill up on the WORD and doeth them. Luke 12:37 "Blessed are those servants, whom the lord when he cometh shall find watching: verily I say unto you, that he shall gird himself, and make them to sit down to meat, and will come forth and serve them." Hebrews 5:13 "For every one that useth milk is unskilful in the WORD of righteousness: for he is a babe." Hebrews 5:14 "But strong meat belongeth to them that are of full age, even those who by reason of use have their senses exercised to discern both good and evil." Do you want to be blessed by ALMIGHTY GOD? Then sit down to the meat of the WORD. That way, you'll always be ready and prepared for battle, when GOD calls upon you. The real battlefield is in the minds of men and it's fought with words, doctrines and ideas. If you've been a Christian for awhile, the time has come for you to be weaned and introduced into the meat of our FATHER's Letter to you. The salvation message is the very foundation of Christianity and every babe starts off being nursed with milk. Once the milk sucking phase is over, however, you need strong meat, or the deeper truths in the WORD, to build up your maturity as a Christian. Don't stunt your growth or succumb to malnutrition by not getting off the bottle. Organized religion can do that to you, if you allow it, but you'll be the one that has to answer to GOD for turning into an ill-prepared soldier. You need strong meat to help sustain you. Without it, you won't be able to discern the higher levels of evil in this world. Indoctrination, lies, deception and hypocrisy are the weapons of the enemy. Can you discern them when they are being used against you? Your weapon is the two edged sword, the WORD of GOD, so gird yourself in the WORD of Truth. The blessings are wisdom, knowledge, understanding and the deeper truths gained from studying His WORD. Luke 12:38 "And if he shall come in the second watch, or come in the third watch, and find them so, blessed are those servants." The third watch for a soldier is 9pm to 3am, which means to be ready while others are spiritually asleep. Be a good watchman and a doer of the WORD. Luke 12:39 "And this know, that if the goodman of the house had known what hour the thief would come, he would have watched, and not have suffered his house to be broken through. Watch out for your loved ones and family, too. Don't allow satan's indoctrination to steal the minds of your children. Luke 12:40 "Be ye therefore ready also: for the Son of man cometh at an hour when ye think not." Those who believe the doctrines of men over GOD's Letter to us will commit apostasy by worshipping the false christ, satan. Luk 12:41 "Then Peter said unto him, Lord, speakest thou this parable unto us, or even to all?" Christ's words are given and spoken to His disciples in every generation, until the end of this Earth Age. Luke 12:42 "And the Lord said, Who then is that faithful and wise steward, whom his lord shall make ruler over his household, to give them their portion of meat in due season?" Are you a faithful watchman, or one who calls evil good and good evil, with no ability to discern the time, events and prophesies? 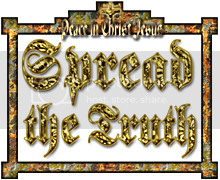 Christ is speaking to those who are blessed with Truth and do the will of the FATHER. GOD is good to His own, and He will feed His faithful and wise stewards with the Meat of His WORD. The blessed will be GOD's vessels that are filled with Truth and the Living Word, Jesus Christ. Luke 12:43 "Blessed is that servant, whom his lord when he cometh shall find so doing." Blessed is the servant that is prepared for battle, sealed with the Truth, and faithful to the One True LORD. He's not the one taken from the field by indoctrination and deception. A double-minded man will not be blessed by GOD. Luke 12:45 "But and if that servant say in his heart, My lord delayeth his coming; and shall begin to beat the menservants and maidens, and to eat and drink, and to be drunken;"
Trouble comes to the man that uses the gifts and truths given by GOD for worldly pursuits and self gain. The drunken man is intoxicated from the cup of devils and filled with double-mindedness and hypocrisy from satan's indoctrination. Luke 12:46 "The lord of that servant will come in a day when he looketh not for him, and at an hour when he is not aware, and will cut him in sunder, and will appoint him his portion with the unbelievers." Double-minded believers are reprobate Christians. Their portion with the unbelievers is from the table of devils. Satan will be cast out from Heaven onto Earth and all of his lieutenants (fallen angels) with him. When they arrive, all individuals that are not sealed in their minds with Truth, will be turned over to satan, the antichrist, to be tested. GOD will give them over because they would not come out of indoctrination, nor would they hear and be doers of the WORD, but instead followed after the precepts of men and the doctrines of devils. Ephesians 5:14 "Wherefore He saith, Awake thou that sleepest, and arise from the dead, and Christ shall give thee light." Those that sleep are spiritually dead or in a drunken stupor from heavy indoctrination. Light is Truth and understanding in the WORD of GOD. 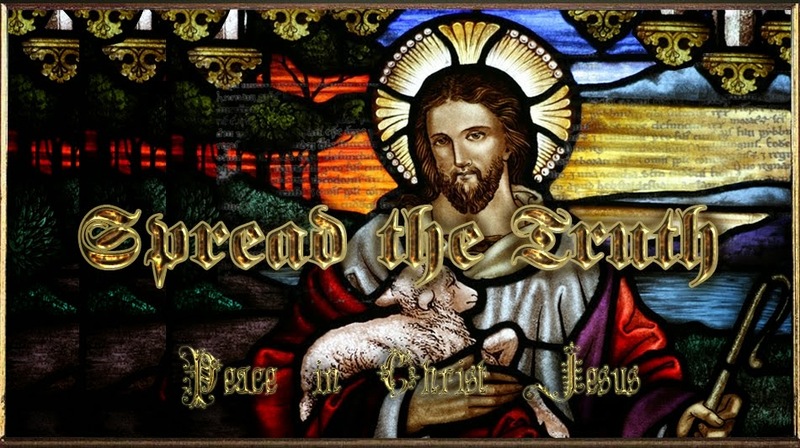 It leads sinners to repentance and brings children from the darkness into light, because CHRIST is the Truth and Light. Be a watchman and a doer of the WORD and share the Light.